cardigan junkie: Because blog award chain letters are fun. Remember when everyone filled out 50+ step chain letters and sent them to huge groups of friends when email was new and you logged on hoping to see a full inbox? My, how times have changed. I get 100-200 emails per day and dream of escaping Outlook forever. One thing I do miss, though, is learning random things about other people. When Emily Kate, Washington DC stylist and author or Capital Style, gave me a blog award with a nostalgic chain letter theme I thought it would be fun to play along. I am a huge fan of hers, and dream of following her footsteps and pursuing a job doing what I love. 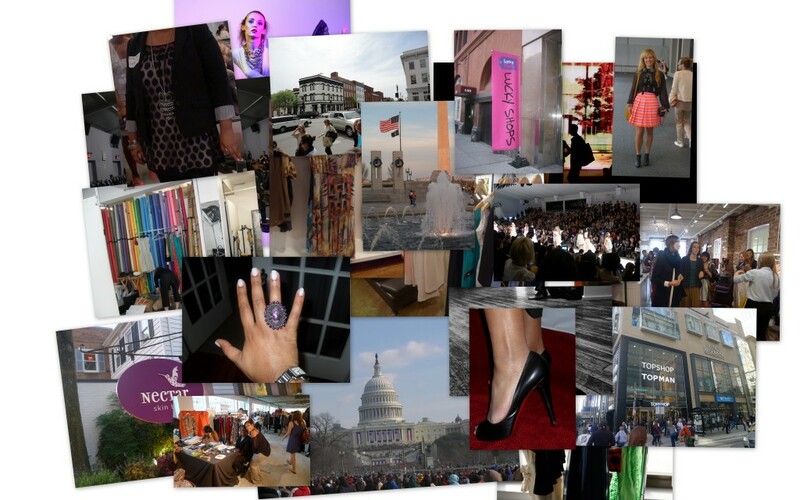 I encourage you to check out her site, and hit her up for personal styling services if you're in the DC area. 1. I am a car singer. I convince myself that I sound like Miranda Lambert sometimes (I don't) and often have a sore throat after long trips. 2. I don't like for rugs and furniture to be crooked, and I will fix other people's chairs if they're not perfectly parallel. 3. As a child, I spoke with a fake British accent more often than was normal. However, I'm still quite good at it and have pretended to be a tourist in bars to get free drinks. 4. I sing songs to my dogs about how I love them and make rhymes with their names. 5. I hate pickles and will spit out a mouthful of sandwich in public if they make it into my mouth. 6. I had a pet cow when I was about 3. Her name was Kristy. 7. I believed that deer immediately fall down dead when shot with a rifle until I was 23. My dad lied. However, I LOVE venison and understand the need for hunting in Texas. 8. In high school I woke up one morning on vacation and there was a baby roach deep in my ear. I almost died. 9. I refuse to gaze upon the bumper stickers of anyone advertising their political beliefs on the back of a vehicle. I purposely look away and think "Take that, you nut. I refuse to read your propaganda." 10. I probably look at Facebook about 5 times per day. However, I just can't get into Twitter. 11. I only enjoyed wedding planning for about 6 weeks, and then it got annoying. I still wish we had eloped. Magazines and other blogs inspire me to wear my clothes in new ways and try to make my space more special and unique. So many people have such amazing taste and talent! 2. What is 1 word you would use to describe your blog/store? 4. If you could pick one designer/store to outfit you for a month, who/what would it be? 6. What’s your “signature” color? 7. What is your favorite blog post you have written so far? Even though it has nothing to do with clothes or decorating, my letter to my high school self is my favorite writing exercise to date. 8. How did you choose the name of your blog/store? I used to shop at Martin+Osa a lot, before they went out of business, and got to know the staff at the NorthPark store. My favorite sales associate, Bruce, made fun of me for always buying cardigans and pretended to rip one from my hands and said "Let it go, you cardigan junkie!" 9. Do you remember the last time you laughed so hard you cried? A few weeks ago at a bar with friends I hadn't seen in a long time. 10. What is the last great book you read? 11. Do you have a favorite quote? What is it? The randon one: "My tear-away pants got snagged on my Union Jack thong and basically the funeral went downhill from there." And with that, I'm going to sleep. :) Please check out of my blog roll for a list of ladies that I think are very deserving of a blog award, and your repeated traffic. I don't add just anyone over there!